What Do We Call Extra Windshield Pillars? People who are interested in cars enjoy calling parts of a car by their proper names. "Wheel," for example, has such a more refined sound than "roundy roller-maker, what's under the get-inside part." You can usually tell when someone is interested in cars by their use of proper terms, such as the names for the parts of the body that separate the windows in a car and support the roof structure. 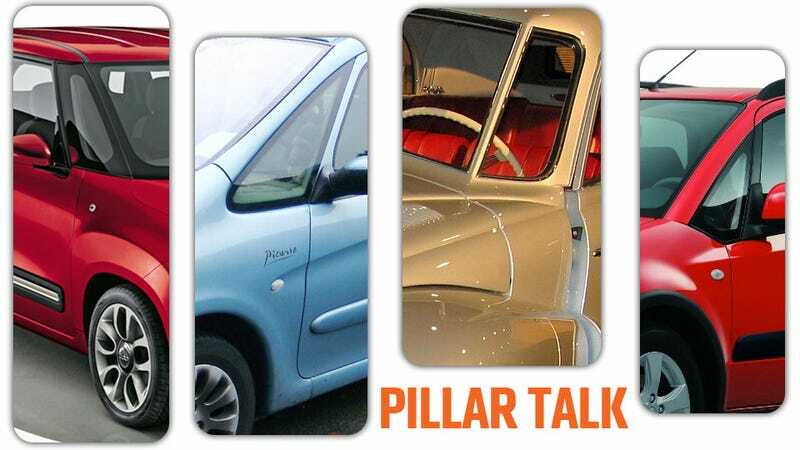 These are typically named (imaginatively), the A-pillar, B-pillar, C-pillar, and so on. The usual thinking is that the pillars are named alphabetically (you know, like that song) from front to back. However, that's not exactly the case. I realized this while talking with Raph about what to call the pillars in cars with multiple windshield pillars. There's a few of these cars out now, including the new Fiat 500L. Recently, the Suzuki SX4 and the Citroen Picasso used this method, as did, much earlier, the Tatra T87. It's a good way to get a bay-window-style panoramic front windshield. A number of people felt these pillars are named alphabetically as they appear; so the second windshield pillar would be the B-pillar, and so on. This didn't feel right, so I checked. It turns out, it's not right. Pillars, while named alphabeticaly front-to-back are still categorized to a degree. 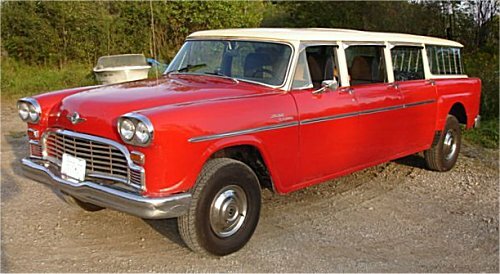 Windshield pillars are always A-pillars, the ones behind the front side window are always B, after the next window, C, if there's a cargo area with windows, D. If you have multiple, say, side-window pillars (like for a Checker Aerobus) those pillars are named B1, B2, B3, and so on. So they're all B pillars, because "B" denotes a specific location on a car. That's also why in cars with no B pillar, they can still have a C pillar. Like what they used to call "hardtops" where you could roll down both side windows, and have a vast, open expanse between them. So, for these cars with multiple A pillars, we can comfortably refer to them as A1 and A2. Or more, if some designer really goes nuts.